Newsletter: Twitter Bans Accounts Accused Of Stealing & 'Siri' Perfect or Obsolete? THE BATTLE WITH TWEETDECKERS CONTINUES…. Several popular accounts were banned by Twitter for stealing tweets. TweetDecking is a practice of selling retweets, which is followed by mostly teens and people in their twenty for making money. It is named so as people involved in the activity create secret Tweetdeck groups often called “decks”. Getting an invite to join the group has a condition that a person should have a follower count in the tens of thousands. The massive number of retweets of a certain post can boost the virality of the specific post. There are several accounts following the practice such as @GirlPosts, Common White Girl/@commonwhitegiri, @SoDamnTrue, @memeprovider and more. These accounts are very popular with a huge number of following. WHAT IS TWITTER DOING TO COMBAT THE SITUATION? This is not the first time when Twitter is working on getting rid of these accounts. Earlier in January when this practice first surfaced, Twitter announced new rules to combat it. Twitter removed the ability to retweet a tweet across multiple accounts concurrently. So, finally, Twitter has taken this ruthless step of banning the accounts indulged in the activity. Some of them are @SoDamnTrue, Girl Code/@reiatabie, @teenagernotes, @Dory, @GirlPosts, @finah, and more. This seems to be the most prodigious step taken by Twitter. According to Twitter’s rules, violating the spam policy can lead to permanent suspension. Who knows that whether these suspensions are permanent or temporary. Siri is not doing that great it was supposed to do. With the recent encounters, it is proved that Siri is not that good an assistant as one might presume. The owners of HomePod reportedly regret buying the smart speaker because of Siri. 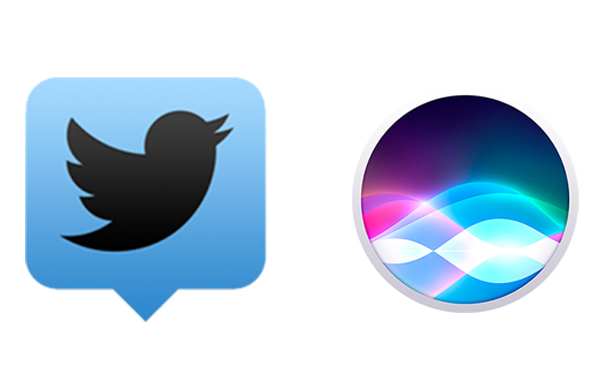 Siri is behind its rivals Google and Amazon. It is very surprising that Siri couldn’t even handle a simple voice recognition without a fumble. Apple is one of the biggest fishes in the smart devices market and has a team of engineers who are working to make Siri better. Have you ever wondered why it never happened? Why is Siri not the most intelligent digital assistant? WHAT WAS THE VISION OF SIRI PRE-APPLE? According to the previous owner of Siri, Norman Winarsky, Apple is obsessed to get it all for Siri which has made it fail miserably. Apple wants Siri to excel at many things, which doesn’t allow to focus on important parts. WHAT COULD BE THE REASON OF FAILURE? Apple is doing all it can to lead Siri to perfection. But something is making things go in the wrong direction. One of the most probable reasons for not becoming Siri a better digital assistant is said to be Apple’s obsession with keeping user data private and not storing to the cloud. Want To Know Who’s Tracking Your Every Move?